I have known Bjørn and Else Ullmann for almost as long as I have lived in Norway. My wife Else has known Else Ullmann since they were both six years old. At our many meetings through the years, neither Bjørn nor Else spoke about their experiences during the war. We knew that these experiences had been dramatic, to say the least. We understood that it was almost impossible for Bjørn to talk about them – even when asked directly. However, in May 2010, we were together at a party and for the first time Bjørn, unprompted, spoke of his memories. The successful painter Jacob Sømme is obviously not interested in the performance but has eyes only for a beautiful, strangely exotic lady sitting not far away. He has not seen her before and she doesn’t look like a Norwegian. He is fascinated and, unable to resist, he takes out his pad and pencil and begins to sketch. She remains unaware of his interest and continues to watch the play. He quickly catches the essential images. At his home in Jeløy, the artist transforms his sketch into a powerful oil painting – but he had not discovered the identity of the mysterious woman. Several years later Isak Ullmann, owner of Moss Varehus, saw a painting in an exhibition of Sømme’s works which he recognised immediately as his wife Ida. He could not understand how the painting came about – his wife had never sat for a portrait. Isak Ullmann contacted Jacob Sømme who related the unusual circumstances surrounding the creation of his opus. A mystery was solved for both men. Isak Ullmann bought the portrait. Today it hangs prominently beside the fireplace in Bjørn and Else Ullmann’s home – a poignant reminder of a happier time – and of the main character in Bjørn’s story. Bjørn’s maternal grandfather Aisik Grusd emigrated from Lithuenia to Norway in 1905. First he came without his family in order to see if he could make a living in Kristiania. Over the next years the remaining members of the family arrived. Ida came around 1910. Isak Ullmann, an orphan, and a friend of Ida’s brother Aron, came about the same time. They had all decided that emigration was the only way to escape the increasing intolerance and oppression in the Baltic. 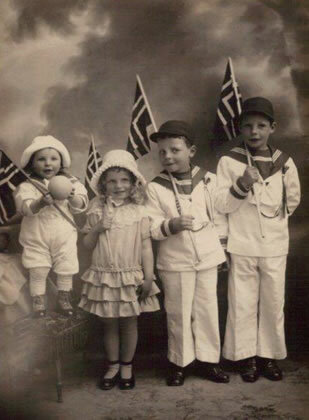 The original plan may have been to continue to the United States but Ida’s father saw a 17th of May, Constitution Day, parade and was so impressed with the sense of freedom in Norway that he decided to stay. They made their homes in Kristiania. Ida Grusd and Isak Ullmann became friends and were married in 1914. Isak worked as an assistant in a clothing store but he had greater ambitions – and not necessarily in Kristiania. The newly wedded couple looked around and decided to take their chances in Moss, a vibrant, industrial town some 50 kms south of the capital. In 1916 they established a general clothing store, Moss Varehus, on the market place. Business was good, the Ullmanns became respected members of the community, and the firm prospered. As the business grew, so did the Ullmann family. Isak and Ida’s children: Paul, Rubin, Sonja, Alf, Rosa, Bjørn and Astri filled their large home in Vårli with the usual mixture of tears, laughter, friends and guests. Ida, the family’s focal point ruled the roost, and with her hospitable, friendly, and generous nature she was able to combine the time-consuming tasks of watching over seven children and taking an active part in running Moss Varehus. Her loyal housekeeper Elin was an indispensible help and confidant. Elin had come to the family when Bjørn was born and remained with them, sharing their troubles and plans, until Mother and children had to leave the country. 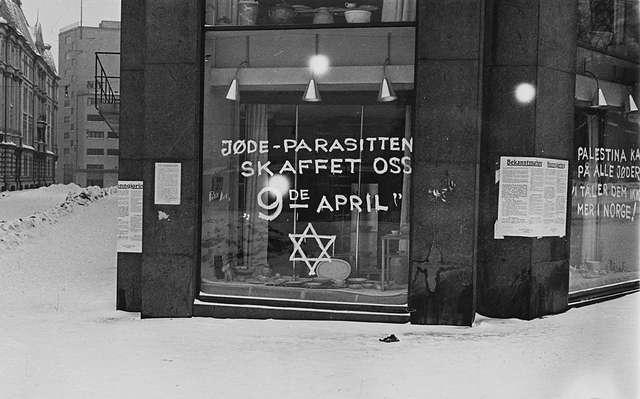 Other indications of change began to appear: The police were ordered to collect radios from all Jewish homes in Oslo and Trondheim, Jewish organisations had to submit lists of all members to the police, the Jewish Aid Society in Oslo had to send in a list of all Jewish refugees in Norway to whom they had given assistance and, finally, the list of Jewish businesses – which the Nazis had been collecting clandestinely for several years – was checked and brought up to date. Not all these actions were immediately apparent to the Ullmann family, nor, indeed, to the population in general. Ida and Isak’s eldest daughter Sonja, who was engaged to a Swedish dentist got permission to leave Norway to be married in Sweden. Rubin, on his return from Sweden, continued his studies in medicine at the University in Oslo and soon became active in the Resistance movement that flourished in the intellectual atmosphere there. The family had been proud of Rubin’s participation in the April campaigns but, of course, knew nothing of his highly dangerous activities in Oslo. In those early days the embryonic Resistance movement was mostly an enthusiastic, amateurish enterprise. The well-trained and ruthless German Gestapo had little difficulty in infiltrating various groups and then arresting key members. Rubin was arrested in November 1941. At the time of Rubin’s arrest, his brother Alf was attending a high school not far from Moss. Fearing that he, too, would be arrested, Alf managed to flee over the border to Sweden. Alf’s flight and Rubin’s Resistance work triggered another Gestapo reaction: in December Rubins father and oldest brother Paul were arrested as ‘hostages.’ They were imprisoned at the local jail in Moss. To Bjørn, the youngest son, fell the daily task of visiting the prison to take extra food and other supplies to his father and brothers. His visits were only made possible because of a ‘Jøssing’ (anti-Nazi) guard. Sometimes, when the prisoners were out in the exercise yard, this friendly guard left a gate open and Bjørn was able to slip in and speak to his father and brothers. Loving wife and mother Ida Ullmann had no such contact with her family and it is difficult to imagine how she could cope with the sole responsibility for three small children, the uncertainty surrounding her fractured family and the fears for the future. The only redeeming features in her desperate situation were the friendliness and support of many Moss neighbours. The worst was yet to come. In March 1942 came the news that the Ullmann prisoners were to be transferred to Grini, the German ‘concentration camp’ near Oslo. The people of Moss gathered in support and sympathy at the railway station. Civilian guards allowed them to give chocolate and other small gifts to the prisoners before they boarded the train. Rubin kissed his younger brother on the cheek in farewell – something he had never done before. Bjørn never saw his brothers or his father again. His mother and sister travelled to Oslo on the train with the prisoners and there, they too, made their final farewell. Two months later Isak, Paul and Rubin Ullmann were transported from Grini to Sachsenhausen. The simple words ‘transported from Grini to Sachsenhausen’ would normally have a simple meaning. But today the words automatically convey a disgusting horror story, and even this, the transportation, was just the prelude to the concentration camps and their paramount examples of man’s inhumanity to man. We can only hope that the families and friends of those innocent travellers did not know – and could not guess – the nature of their journey. 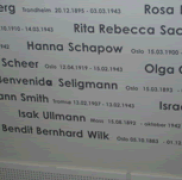 Ida Ullmann, in any event, bore her misfortunes stoically until an autumn day in 1942 when a Gestapo officer came to the house and told her that Rubin had ‘died’ of an ‘illness’ in Sachsenhausen. This was too much for Ida. In Bjørn’s words “she was beside herself”. So intense was her reaction that Astri, frightened at the sight of her hysterical mother, ran out of the house to stay with a girlfriend. By a stroke of luck – as it turned out – this girlfriend was ill with Mumps – a highly infectious disease. She infected Astri who, on her return home, infected Bjørn and Rosa. Throughout eastern and southern Norway the Nazis were arresting Jews prior to the mass deportation of November 26. But now, for once, fate was friendly to Ida Ullmann. The Nazi members of the ‘master race’ were notoriously afraid of contagious diseases. On the recommendation of a local doctor, the Ullmann household was isolated for 14 days – their arrest was postponed but Ida knew the Gestapo would be back as soon as the infection was over. The pressure must have been enormous – sick children, fear of arrest, deportation and certain death, daily reporting to the Gestapo HQ, and the latest blow – Nazi expropriation of Moss Varehus. Lesser mortals would have given up, but not Ida; she had to do something. Ida realised that the only solution was to follow in the footsteps of the many Jews who had fled to Sweden. She had connections with many prominent men in Moss. But no, the Chief Fireman refused to drive them to Sweden in an ambulance. Neither would Hans S. Jacobsen, the NS man who had torn down the sign in the store, help her. So it was a courageous, lonely, woman who stood before the Head of the Gestapo himself and pleaded for assistance. Impressed and surprised by the brave woman, he said that nothing could be done, but he allowed her to leave his office – despite the fact that he should have arrested her on the spot. She returned home – hope now almost abandoned. A few evenings later, at the end of November 1942, Ida answered the ring of the doorbell and faced a man who said he had come to help her. He confirmed his story by giving details of how he had helped Ida’s mother and sister escape to Sweden from Oslo. The man, Peter Gabrielsen was a member of Milorg. He returned the next day with train tickets to Oslo and a simple plan: He would accompany them on the train, they should be dressed as inconspicuously as possible, he would sit far away from them, and if either he or they were questioned, they wouldn’t recognise or acknowledge the other. They arrived in Oslo without incident. 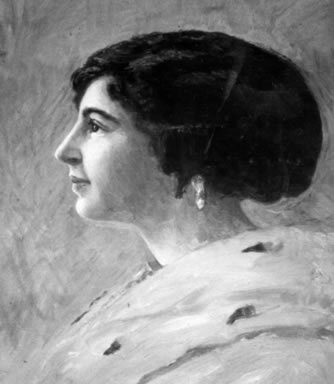 During the two and a half years in Sweden Ida Ullmann and her three children lived in Malmø – where Bjørn’s sister Sonja lived. Ida Ullmann never lost the hope that her husband and son would return. In the days after the capitulation, several ships carrying returning Norwegian prisoners came to the port of Malmø. On these occasions, Bjørn hurried down to the port and ran ceaselessly up and down the dock asking if anyone had been in contact with Isak and Paul Ullmann. Nobody had, and the truth had to be faced, they would never come home. They had been murdered in October 1942 at the concentration camp in Lublin. Even this was not the end of the tragedy for Ida Ullmann and her decimated family. The destiny of her son Alf was a complete disaster. At the time of his flight to Sweden he was only 17 years old; a tall, handsome boy who was active in the Scout movement. Afterward he was unable to cope with the burden of thinking that he had caused the arrest of his father and his brother Paul. His mind became totally darkened by imagined guilt and thoughts of self-destruction. He died shortly after the war. 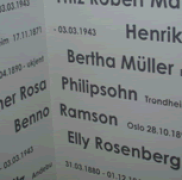 Else’s grandfather, Elias Ramson, first came to Norway from Lithuania in 1884 to live with his father in Bodø. Else’s father was born in Kristiania (Oslo) in 1896. Like her husband Bjørn, Else Ullmann hasn’t talked much about her wartime experiences – not to her friends, and not to her children. 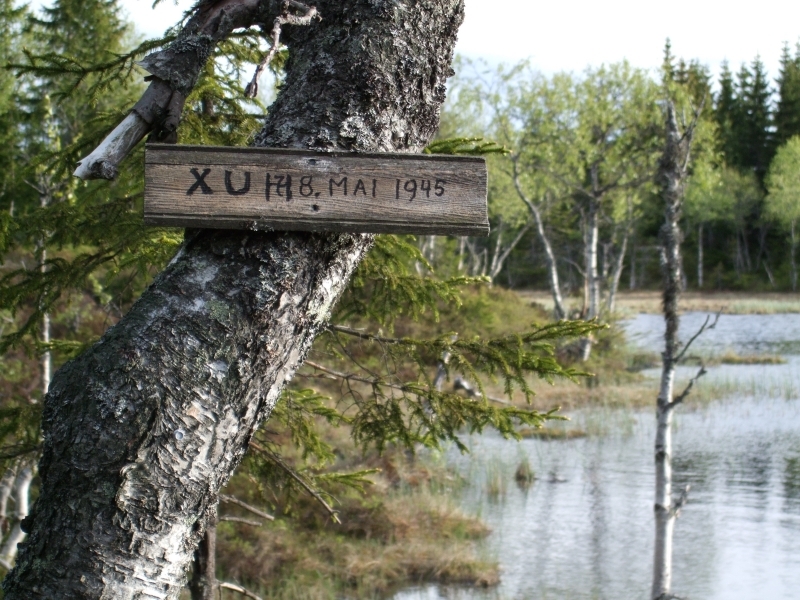 But in 2009, when three of her nine grandchildren were vacationing in the Norwegian mountains, she felt compelled: “…to try to write down what I remember of what happened to me, my Mother and Father in the same mountains and at the same time of year 69 years ago”.She admitted that some thoughts and facts had been lost, but that most were still vivid in her memory. Sixty-nine years ago from the time of writing took her back to 1940…. …April 9th 1940 to be exact. Following a popular Norwegian tradition, the Ramsons, Else, her mother, and father were taking Spring-break in the mountains just before Easter. 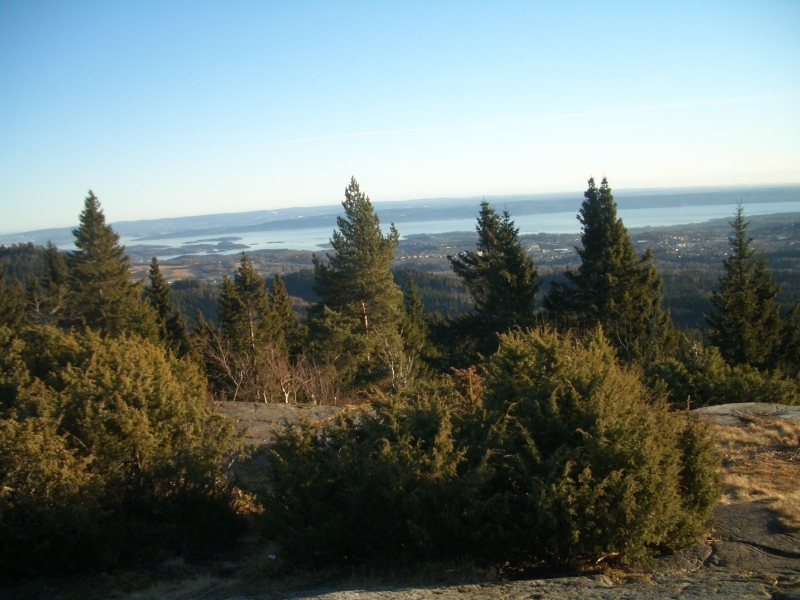 From the Høvringen Mountain Hotel they enjoyed long ski tours in the spring sunshine. They had left the younger sister, Sonja, in charge of a relative in Oslo. Else was six years old and, surprisingly, she had little enthusiasm for her parents’ long ski tours. The reason for her unusual lassitude became clear when a doctor told her that she had Chicken Pox. But this was a few days later. Early in the morning of April 9th a sharp knock on the hotel-room door woke the Ramsons and a voice called for Mr Ramson to come down to the reception to take a telephone call from Oslo. Else remembers that he rushed to put on his bathrobe and slippers and ran down two flights of stairs to the lobby. He naturally thought that something must have happened to their daughter Sonja, but no, his brother in-law Leo, over the telephone, had even more troubling tidings: Germany had invaded Norway – German warships had sailed up the Oslofjord during the night and German troops were already marching up the main street of Oslo, towards Akershus fortress. War had come to Norway. Else spoke for most Norwegians when she wrote to her grandchildren 69 years later: “This was a shock to us. Norway was not prepared for war at this time. Neither the news broadcasts nor the newspapers talked or wrote about war with Germany as being an immediate threat. This meant that the German air force and troop transport ships could move safely into foreign territory – Norway.” She added: “Except for one ship – Blücher.” 2 She then told them about the timely sinking of this vessel – one of the few redeeming features of Norway’s defence. 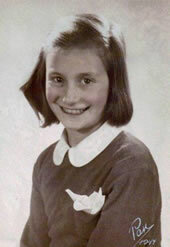 And she probably spoke for most six-year olds when she wrote: “I did not fully understand what had happened. But I saw the scared faces of my Mom and Dad and realized that we were all in a terrible situation. But how horrible the coming 5 years of war were going to be I, my Mom, and Dad did not know at the time”. The one thing they did know was that they should get to Oslo as fast as possible. Finally they got the OK to return home and they hitched a ride in a truck going to Oslo. There had been battles between German and Norwegian troops in the districts they had to drive though, bridges were down, buildings damaged and detours unavoidable. Else and her mother sat beside the driver and suddenly Else saw a dead soldier by the roadside: “ Mom had seen him at the same time and she quickly put her hand in front of my eyes, wanting to protect me from such a scary sight. But I had already seen it, and that sight stays with me.” The trip took almost a whole day. Today the same journey would take about two hours. in their basement where they could all sit and keep warm. Canned food and water were stored there in case a raid lasted longer than normal. A neighbouring house was hit and the Ramsons heard sirens of fire engines compete with the air-raid sirens. Sirens, air-raids, and shortages were now a part of life. Creativity flourished – manufacturers started to make shoes out of fish skins with wooden soles. Women made clothes for their children – Else remembers that her mother made her a winter coat out of an old woollen blanket that she had dyed red. Food was getting scarce, so nothing, not even stale bread, or breadcrumbs were thrown out. Else’s mom became really good at making bread pudding. They planted vegetables in the garden and kept chickens so that they had eggs. (They didn’t have the heart to kill the chickens however.) The German invaders confiscated all radios (except those belonging to NS members), so that the only available news was from the Nazi-controlled newspapers. Inevitably this led to hidden radios, illegal newssheets and the growth of organised resistance. These restrictions and hardships occurred gradually during the remainder of 1940 and 1942 and effected almost all the population. For the small Norwegian Jewish population, however, even worse things were in store. That last sentence described a common sentiment – a sentiment that sealed the fate of many Jews in Norway – they just could not imagine that the Norwegian rule of law could be so completely corrupted, and even worse, that basic human integrity could be so undermined. Else’s writing continues as an example of the latter: “But just to be on the safe side he made a ‘Gentleman’s agreement’ with a business associate, AH, giving him 50 percent of the business under the understanding that he should manage the company until the war was over. AH and my father shook hands and my father thought that if the Gestapo wanted to threaten him, his family or his business he would know in advance and manage to escape. But that was not going to happen. As soon as my father and AH had made their agreement, AH went back to his office, picked up the phone, and called the Gestapo. He told them to come and pick up my father as soon as possible or he might disappear. 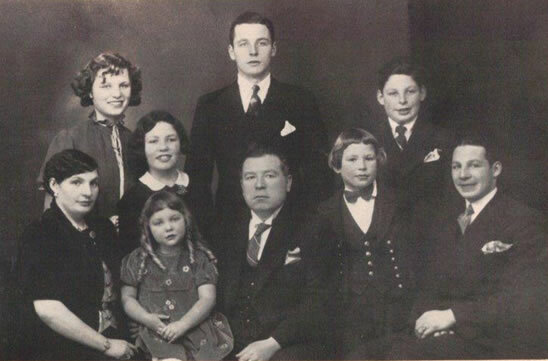 Half an hour later the Gestapo arrived at the Ramson home and arrested Else’s father – she never saw him again. Benno Ramson was held in custody for two days at Bredveit prison in Oslo and then transferred to Berg prison near Tønsberg. 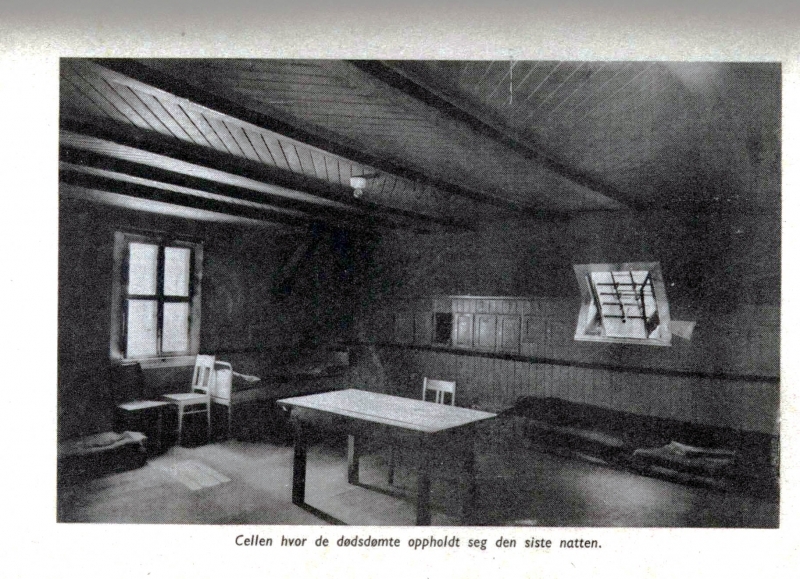 This prison, constructed by the Quisling ‘government’, was originally intended for civilians from the Tønsberg district but soon became the transit camp for Jews condemned to concentration camps in Germany and Poland. Another prisoner at Berg was Benno’s younger brother, Abraham. Uncle Abraham was married to a non-Jewish lady and was the only doctor in the district where he lived. Else wrote: “The prison received a letter asking for his release as they needed him to treat the sick people in his district. The letter was signed by over 100 of his friends and patients – and the unbelievable thing happened – my uncle was released.” There was much more activity and intrigue behind this release but that’s another story. Before leaving the camp Abraham went to say good-bye to his brother. By this time Benno had realized, or suspected what the Germans were planning – and that his chances of being released before the end of the war were slight. He took his gold watch from his wrist, gave it to Abraham, and said: “I don’t need it where I am going, you take care of it in the meantime.” Benno Ramson was murdered in Auschwitz in December 1942. In Oslo, alone now, with two small children, Else’s mother hoped they would be left in peace. But Hitler’s plans for the future of Europe did not include peace for Jews. 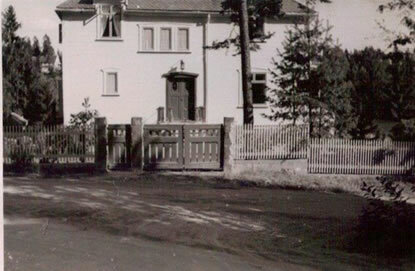 One rainy day in October 1942 Gestapo agents, guns in hands, stormed the Ramson home and gave them 15 minutes to pack and get out. Try to imagine the shock, the disbelief, the horror – what should we take, where will we go, what will happen to us? Else wrote: “…my sister, mother, and I tried to collect what we could of warm clothing and before we knew it we were standing outside on the street in the pouring rain with a small suitcase each. …Good neighbours helped us.” For a few weeks they lived in one room in a house up the road. Between 45000 and 50000 thousand Norwegians; young men and women hastening to join in the fight for freedom, and men, women and children fleeing in fear of their lives, crossed the border into Sweden during the war. Many of them breathed heartfelt sighs of relief at the sight of lighted candles and lamps in welcoming Swedish windows. Else, Sonja and their mother lived in Stockholm and Uppsala for the remainder of the war. When the war ended they returned to Norway as quickly as possible. It was a memorable train journey: “At every station on the Swedish side of the border people came and gave us big bags of clothing and food. When we had passed the border it was just the opposite, in Norway people were waiting at every station to get much needed help. After 5 years of war, food and clothing were scarce. So we emptied all our bags into the arms of grateful fellow Norwegians. In Oslo they found that their home had been occupied by uncaring German soldiers who had ruined all the furniture and fixtures. The summer of 1945 was warm and pleasant but Else remembers only: “Mother was now a ‘war-widow’ and we had lived through so much sadness and despair that it was difficult to be really happy. I often say that the war ‘stole my childhood’. I had to grow up so fast, to be my mother’s helping hand…but we had each other and many good friends who came to wish us welcome home. The figures Else quotes are the total number deported. In retrospect we now know that on Sunday October 25th 1942, the Norwegian Chief of Police, Karl A. Marthinsen, telegraphed all police stations advising them that all Jewish males over 15 whose identity papers were stamped with a J should be arrested. In addition: their assets were to be confiscated, bank accounts blocked and bank-boxes emptied. All Jewish women were to report daily with their identity papers to the nearest police station. 3 The ‘law’ which ‘authorised’ these arrests had been signed by Quisling just one day earlier, on October 24. The ‘J’ imprinting earlier that year – at which all personal details had to be filled out on a form, in triplicate – was one of several preparatory steps in the recording and identifying of all Jewish inhabitants On Monday, October 26th the mass arrests of male Jews took place. Imagine the lot of the women and children left alone at home without income, savings, or any form of sustenance…. The November 26 action was also planned to the last detail and ‘masterminded’ by Marthinsen who directed the 300 participating Norwegian policemen. Oslo had been divided into three zones, the name-lists were ready, as were 100 taxis. From the questionnaires filed when the identity cards were stamped with a J, the hunters knew the exact address of each of their prey. From these two actions, a total of 532 men, women, and children were deported and arrived at Auschwitz on December 1 1942. Benno Ramson was one of them. Karl A. Marthinsen was assassinated by members of the Resistance movement on February 8 1945. Picking up the threads of her life in Oslo was not easy but Else finished junior and part of high-school before emigrating to Canada in 1950 – and on to the USA in 1951 where she studied at the Whitman School of Interior Design. But Norway called and on a summer visit in 1953 she met Bjørn Ullmann who was studying at the Norwegian Business Institute in Bergen. The following year Norway called again. Bjørn and Else became engaged. 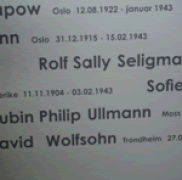 In the summer of 1955 they were married at the Synagogue in Oslo. After Bjørn finished his studies in Bergen, they moved to New York which had been so much a part of Else’s teenage-years, and where her mother and sister still lived. Bjørn and Else had three pleasant years in the United States. Their first child was born at the Long Island Jewish Hospital in April, 1959. In the summer of 1960 the little family of three decided to return to Norway. The Center for Studies of Holocaust and Religious Minorities in Oslo presents a modern exhibition on the Holocaust. Images, sounds, film, items and text documents the genocide on the European Jews, as well as the Nazi State’s mass murder and persecution of other peoples and minorities. During the Second World War Vidkun Quisling resided at Villa Grande and renamed the building Gimle. From 1942 until the end of the war the building was a symbol of oppression, violence and barbarism. 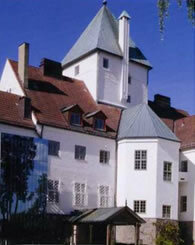 Today the villa contains a permanent exhibition on Nazism’s worst crimes. It opened in August 2006 and reflects the most recent insight and knowledge about the Holocaust and the Racist ideology of the Nazi regimes. 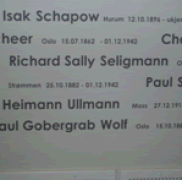 One room is dedicated to these Norwegian Jews. Here we find the names of Bjørn and Else’s family members who were victims. 2. See Timeline 1940 April 9 Notes Blucher.